Calina Hart’s mother, the lovely Lady Carol Wood, was being forced by her ambitious father, the Earl of Hurstwood, to marry the Duke of Denholme, who is dull, boring and a poor rider but is a Duke! Early in the morning of the day of her Wedding to the Duke Lady Carol runs away with John Hart, who is a brilliant trainer of her father’s horses, as she has fallen in love with him and refuses to marry a man she does not and cannot love. The Earl is furious and the Duke is made to look a fool and Society is understandably scandalised and fascinated by the story of the runaway bride. They marry at once and then escape to Cornwall and nobody knows where they are and soon their adored daughter, Calina, is born and she becomes more beautiful every year. Lady Carol and John Hart had always been very happy together until he died of a virulent fever in Egypt whilst taking four outstanding horses he had trained to the Khedive. Calina and her mother had been about to travel to Egypt to visit his grave when her mother had died more of a broken heart than anything else. Although Calina did not have much money, she wanted to carry on with the journey that she and her mother had planned and she left on a ship bound for Cairo. As she was not chaperoned, she wore widows weeds and called herself Lady Hartington’ after making slight alterations to her mother’s passport. As she has a title, she is invited to join the Captain’s table and there she meets the good-looking Marquis of Merryfield, who is gracious and charming to her and they enjoy each other’s company. Later in the voyage after stopping at Naples she meets Mr. Oliver Bagshot, an American millionaire, who never stops talking about himself and he is instantly attracted to Calina and begins to pester her. 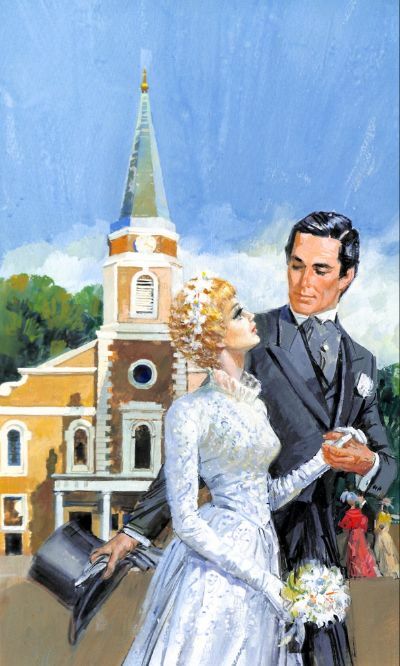 How she finds Mr. Oliver Bagshot in her cabin one night after dinner with a bottle of champagne in his hand and how she runs desperately to the Marquis for help and with a most unexpected result is all told in this romantic and intriguing tale by BARBARA CARTLAND.